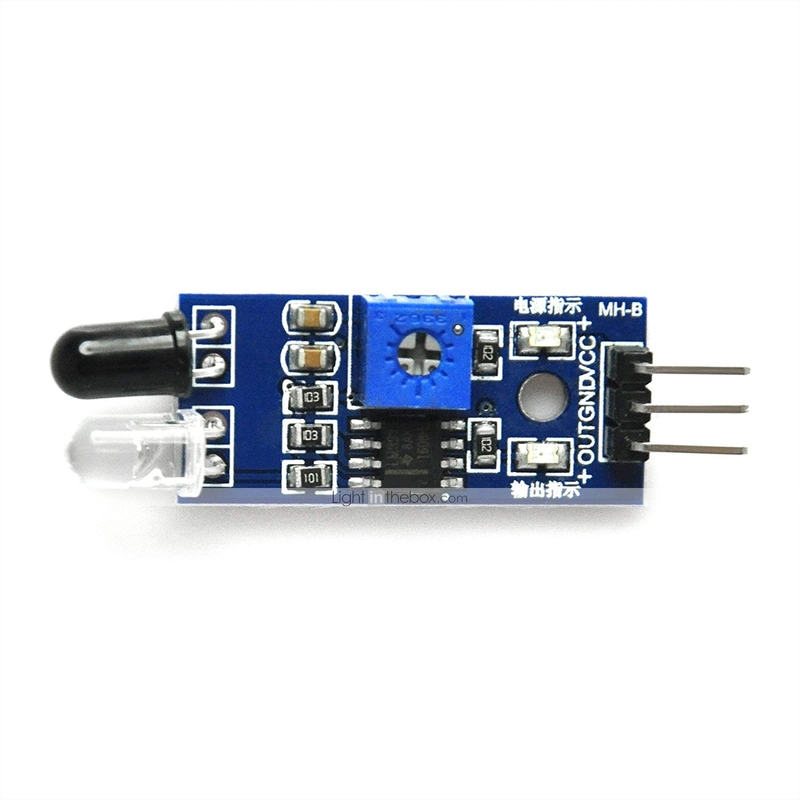 Can be used for 3-5V DC power supply modules. It has red power indicator. 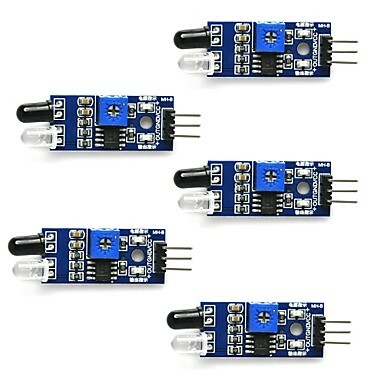 IR Infrared Obstacle Avoidance Sensor Module can be widely used in robot obstacle avoidance, obstacle avoidance car, line count, and black and white line tracking and so on The output port OUT sensor module can be directly connected to the microcontroller IO port, you can directly drive a 5V relay It has a pair of infrared transmitting and receiving tube, tube infrared emit a certain frequency, when detecting direction meet with obstacles (reflecting surface), reflected infrared receiving tube, after the comparator circuit processing, green indicator will light up, at the same time signal output interface to output digital signal (a low level signal).